Regarding the letter requesting information about the breakdown by mints of the 1965-67 and other "anonymous" coinages, nearly all of this information is already in print. You illustrated the 1967 Annual Report of the Director of the Mint, and that does include a complete table of the coins produced at each mint bearing the dates 1964, 1965 and 1966. 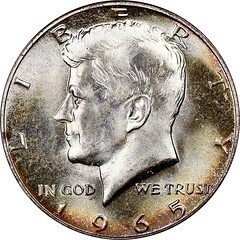 Those of 1964 must be included, too, as coins of this date were struck into early 1966. For 1967 and later years the publication Domestic and Foreign Coins Manufactured by Mints of the United States is quite useful. The latest print edition I've seen is dated 1980. This may or may not be available online, but print copies of this and earlier editions are easily found at a reasonable cost. I accessed these resources when writing my 1996 book The Complete Guide to Lincoln Cents. For the anonymous San Francisco and West Point coinage dated 1975-84 I also examined the Mint Director's reports for those years, and the information was included. The only wall I hit was in trying to determine the exact breakdown of bronze versus zinc and Large Date versus Small Date cents for 1982's coinage. Even the dates when the production of bronze coins ceased and that of zinc began for each mint was unclear. I found conflicting dates from various sources and ultimately just published what I thought was the most likely to be correct. The mintage of the 1960 Philadelphia Small Date cent is generally accepted as being 2,075,000, that being the Philadelphia mintage of cents for January of 1960. As per custom the Mint struck about 2,000,000 pieces of each denomination in January of each year, and then struck more throughout the year as the Federal Reserve System demanded it. As fate would have it the Philadelphia Mint then switched over to foreign coin production for several weeks, striking just under 140 million pieces in January, February and March. Over 100 million of these were in cent bronze, which may explain why cent production was skipped during this period. There may also have been a surplus of leftover 1959 cents, which were overproduced to accommodate the introduction of the Lincoln Memorial reverse design. No U.S. coins were struck at Philadelphia until later in March, by which time the date size apparently had been changed. 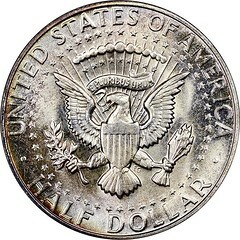 As the time of the changeover is not known, there is no good guess as to the 1960-D SD mintage figure.